SOG Quake XL Spring Assisted Knife with Crossguard, The SOG Quake is combined with a thick dual tone VG-10 blade and has forged aluminum handles. It also has full length stainless steel liners and REALLY packs a punch. The overall open length is 9 inches with a blade length of 4.5 inch drop point bead blast blade that is razor sharp. 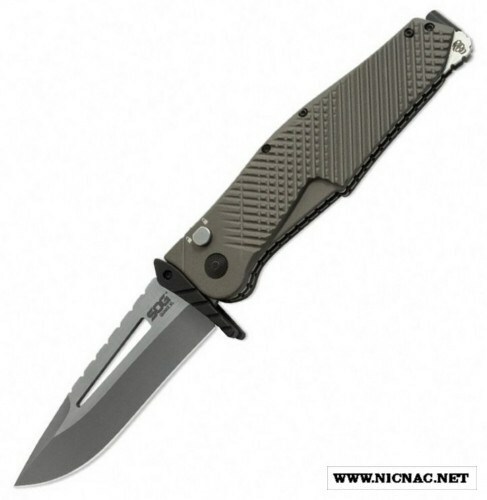 The SOG Quake is tip up carry with a pocket clip. Click here to watch the SOG Quake Video.